It is the ultimate International buffet in town! Buffet Town is located in the heart of Singapore at Raffles City. Offering more than 300 buffet items over 29 item categories and with a mini playground, Buffet Town is the preferred child friendly buffet destination in town for everyone to experience the joy of eating without boundaries. Having a seating capacity of 500, diners do not have to wait too long to relish in our finest food. 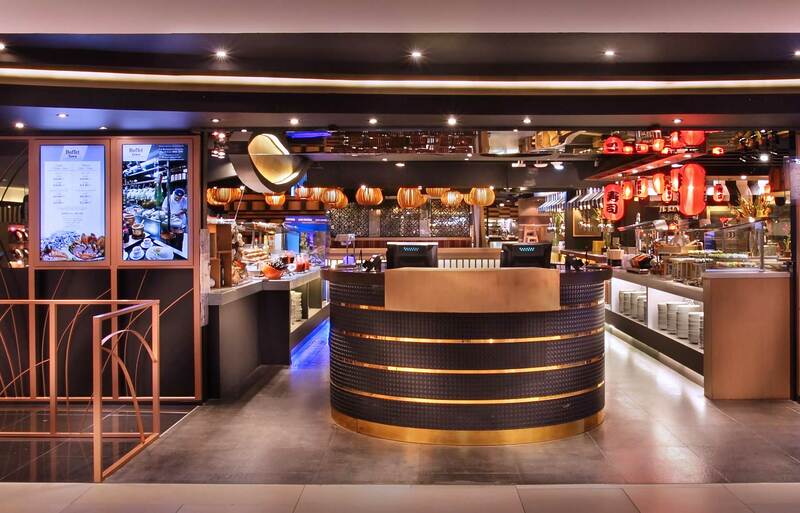 It is the ultimate International buffet in the heart of Singapore at Raffles City. Offering more than 300 buffet items over 29 item categories and a mini playground, Buffet Town is the preferred child friendly buffet destination for everyone. Parents have the pleasure of tucking into an impressive spread of international cuisine while the little tots enjoy themselves at the playground. Cluster of snow crabs are served at special occasions. Freshly shucked oysters are available at daily dinner and weekend lunch. Sweet savoury and slightly spicy chilli crab is one of Singapore’s authentic must try dishes. Enjoy the omega-goodness of grilled salmon fish head, shishamo, squid head, saba fillet and many more; all skillfully prepared on the spot. Diners are spoilt for choice with hearty salad bar, assorted pizzas and daily carvery. Menu items are on rotation basis and subject to change without prior notice.